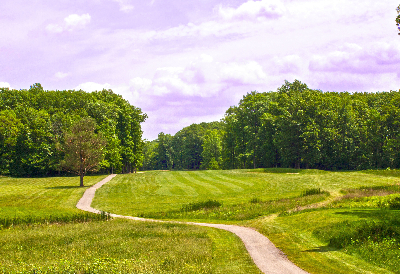 When you play Powderhorn Golf Course, you will enjoy some of the best golf in Madison, Oh. We feature 18-holes of golf that is ideal for golfers of any skill level and is designed to help you improve your game. Our idyllic settings will let you step away from life for a while and focus on your golf passion. You will be able to test your skill set with our long fairways, multiple water hazards and strategically placed sand traps. 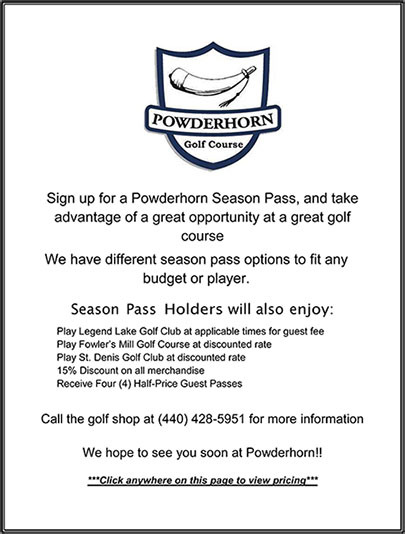 Powderhorn Golf Course offers an assortment of top notch facilities. We feature a quality Pro Shop with a variety of the latest golf gear. For the golfer who has to work late, we are equipped with a practice green and driving range where you can sharpen your skills. If you are hungry before or after your round of golf, be sure to stop in for a bite at our restaurant. The staff at Powderhorn Golf Course is committed to providing you with customer service that will make your golf visit memorable. We offer several different types of membership packages to provide you the best value. We encourage you to request a tour of our facility, and welcome any questions you may have. Contact our Pro Shop for all the details and benefits of our memberships.